Barça Innovation Hub is the world’s number one center for sports knowledge and innovation. And we are part of it. FC Barcelona has grown into a sports club and social entity of worldwide scope and relevance, with a powerful and widely-recognized name. But the Club won’t settle for that. It now has the opportunity to take a further step forward and be at the forefront of the management and leadership of the many complexities of the sports world, as it aims to also set new standards in the field of sporting knowledge and innovation. Barça Innovation Hub is an ecosystem that promotes knowledge and innovation, in collaboration with prestigious brands, universities, research centers, startups, entrepreneurs, students, athletes, investors and visionaries from around the world. 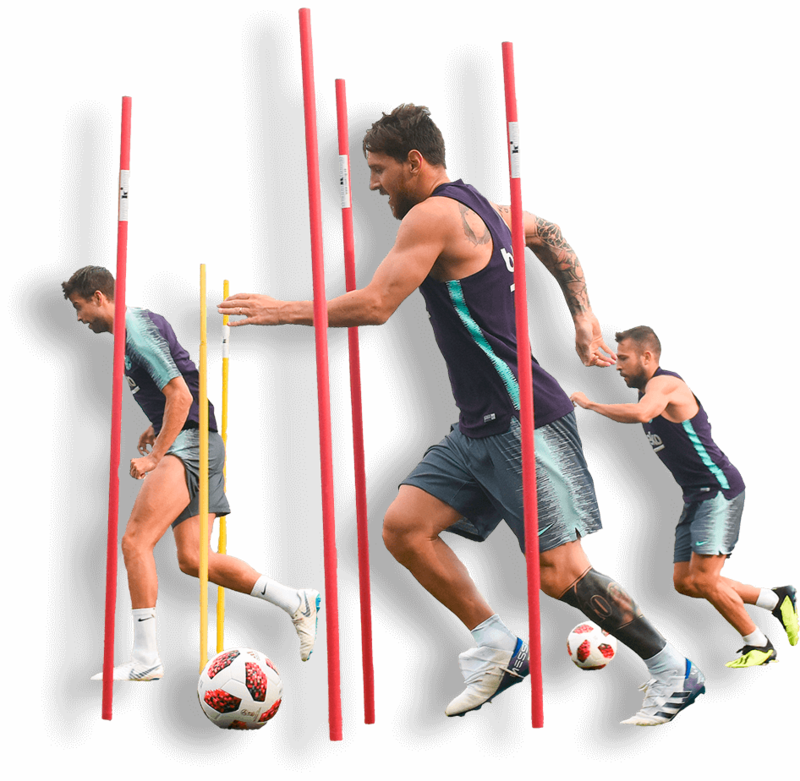 With this Barça wants to generate new knowledge and create new products and services, which can benefit not only its own athletes, but also society in general. Through Barça Innovation Hub - Universitas, FC Barcelona undertook to spread its knowledge to create a new generation of professionals in the sports sector. In this context, Barça Innovation Hub is associated with Capabilia to incorporate, create and disseminate knowledge on a global scale. How do we contribute to this initiative to boost its growth and reach a global audience? This is how we turned BIHUB's philosophy into a digital key and leverage its knowledge to deliver it to the world. Capabilia took the “hub” concept and got involved in the design of the entire digital experience of Barça Innovation Hub. This mainly (but not only) includes the end-to-end creation, promotion, service and support of fully-digital lifelong learning experiences. BIHUB brings access to the latest research of FC Barcelona experts, letting their knowledge to be valued and shared with the world. In addition, it showcases its offering of Masters’ programs, courses, seminars, conferences and symposiums about the state-of-the-art in its main knowledge areas: team sports, sports performance, analysis and sports technology, health and wellness, fan engagement, smart facilities, and social impact. Co-creation of academic content together with experts and collaborators of FC Barcelona, based on a tailor-made instructional design. Expert – guided model. The whole experience has a guide, follow-up and personalized contact. Monitoring and management tools 100% traceable. Optimization of information access and registration process to events on sports sciences organized and hosted by BIHUB in association with renowned institutions. The digital training proposal of Barça Innovation Hub - Universitas was a resounding success among professionals in the sports industry. The quality of the learning experience, the expertise of advisors and teachers, plus the support of a global brand such as FC Barcelona were key to spreading the initiative far and wide.